Meet Bridgette from Treasure Coast Mermaid. A Real Mermaid from Florida! I was born and raised in Clearwater, Florida just 15 minutes away from the beach. I moved out of my childhood house when I was 19 and moved around a bit living with friends until I bought my very first house. I met my boyfriend Brian Storey with Brian Storey Photography over three years ago. I sold my town house and moved to Sebastian, Florida 2 years ago. I have a BA degree in Anthropology from USF and work with security at my local hospital. I work full time at my human job at the hospital. In my spare time I love making mermaid bras and mermaid crowns when I don’t have a mermaid gig. Where did you learn to love the water? I pretty much grew up on the beach. As a baby we lived on the beach, then bought a house just 15 minutes away from the beach. My grandparents owned a condo on the beach. So always by the water. We also had a pool at our house and would swim just about everyday until our lips were blue lol. I used to pretend I was a mermaid as a little girl, my barbies all had mermaid tails and I was a mermaid for almost every Halloween. How long have you had your tail? I purchased my first Mermaid tail in May of 2015 as a graduation gift to myself. It was a mertailor basic silicone tail. It was a hybrid tail of silicone and neoprene, which cost around $800 because I decided to have a color of my choice (which was extra). I sold my mertailor tail to my good Mermaid friend Mermaid Kelly Grace in the Virgin Islands so she could use it at her Mermaid school that she runs. My current tail is from Mermaid Kariel, Tail of Art. This tail cost me around $3200. Full silicone with sparkle add on and a hip fin. I have worked very hard at my human job and have been fortunate enough to be able to save for another Tail of art which She will begin making in February. 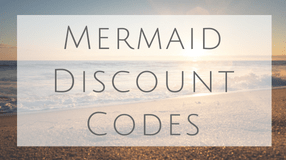 What people can learn from mermaids? Mermaids are very conscious of our bodies, of water, and the life that resides in it. There are so many mermaids out there that do what they do to bring awareness to ocean conservation and protection of the life that lives in our waters. Mermaids are also very excellent business people. I take what I love, and not only do as a hobby, but also make it a business. Right now it is my second source of income and one day would like it to be my primary source of income. In my mermaid business life, I provide birthday parties with the option of a professional photographer, festivals, fairs, meet and greets, photo opportunities, weddings and more! What is your favorite Mermaid Event? Last summer my mermaid friend Mermaid Kelly and I put together a small mermaid meet up at Ginnie springs and will most likely do it again this year. I have been wanting to attend Mermania but have not been able to attend yet but I will be 100% attending next year. 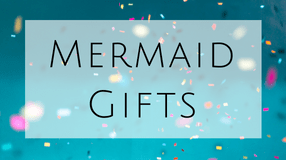 What is your favorite Mermaid Item? My favorite mermaid items would be (other than the obvious tail )my silicon tops by Mermaid Hyli at Siren Allure on Etsy, my flower crown that my friend Clearwaters Favorite Mermaid made me which is shown in one of these photos and of course my mermaid leggings from black milk clothing! 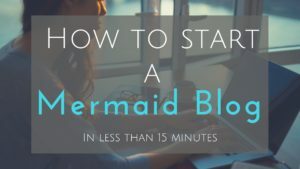 If you are just starting out as a mermaid I recommend starting small and less expensive. Start with a fabric tail or a hybrid tail they are much easier to get used to then jumping right into a full silicone tail. I also highly recommend having someone with you at all times when you are swimming, like a spotter. Someone who can throw you a pool noodle when you need a rest swimming in the ocean or a spring for example. I love that you are following your dreams and making them real. I share your photos and videos with my kids I teach (Kindergarten) and my own 2 little kids. They are all so fascinated by you and your mermaid life.